There are some basic home security tips you can undertake to protect your home from a break-in not just at this time of year as the dark nights are here but all year-round. Think about good basic housekeeping routines that aren’t expensive. Don’t leave keys on the inside of door locks, under mats or anywhere else a thief may find them. You could be making it easy for the thief to not only enter your house but also leave carrying your valuables. Don’t keep house keys and car keys on the same key ring. Leaving car keys lying out visibly means a thief may see them and be tempted to try and fish your keys through the letterbox to steal your car. Cars are stolen for a joyride or to be used in the commital of other crimes. Don’t leave any valuables in sight from a window particularly important for the Christmas Tree at this time of year. Don’t post your holiday plans on Social Media. If you have a wall calender don’t mount it near a window from where appointments could be seen. Both of these actions could give an indication when your property will be empty. Don’t put your name or address or your keyring. If lost or stolen this information could direct the thief to your property. Do security mark your property with a UV pen. Use it to invisibly write your postcode and house number on your goods. 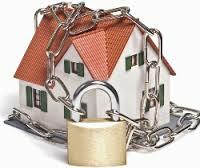 Do take photos of your property and keep them somewhere safe. This could help the Police identify and so return your property. This is paticularly helpful for items of jewellery. Many thieves are actually opportunists who don’t have to break-in at all because a door or a window were left open or weren’t secured properly. If you are retiring to bed at night make sure all the doors and windows are locked and that curtains are drawn or blinds down to keep valuables out-of-sight. Follow some basic tips and don’t make it easy for them.